Grab some dice, some pencils, some friends, and get ready for some minimalist, straight-forward, fantasy roleplaying! Tiny Dungeon: Second Edition is the newest iteration of the minimalist fantasy roleplaying game! 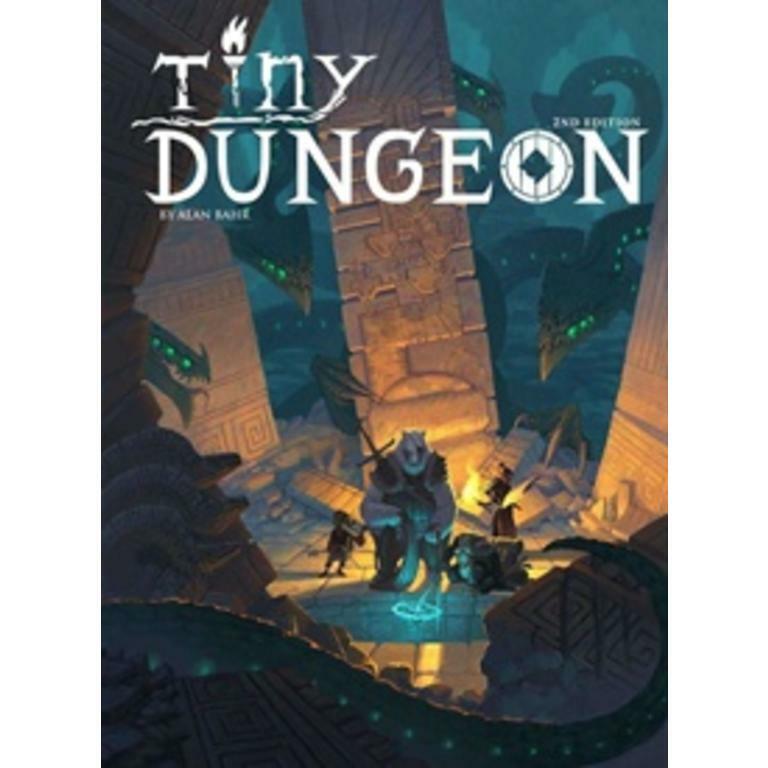 Powered by the TinyD6 engine, with streamlined mechanics that utilize only one to three single six-sided dice on every action, characters that can be written 3x5 notecard, and easy to understand and teach rules, Tiny Dungeon 2e is great for all groups, ages, and experience levels! Included are over a dozen lightly detailed settings, written by some of the best authors out there. These “micro-settings” are light-weight, open-ended and designed to be inspiriational for your games and provide a fast, easy jumping point for your campaign! 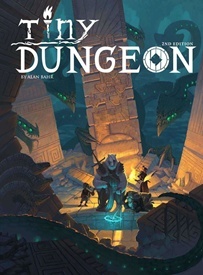 Covering a wide selection of fantasy genres and ideas, there's something for everyone in Tiny Dungeon 2e!